Wherever human beings interact, emotions come in to play. 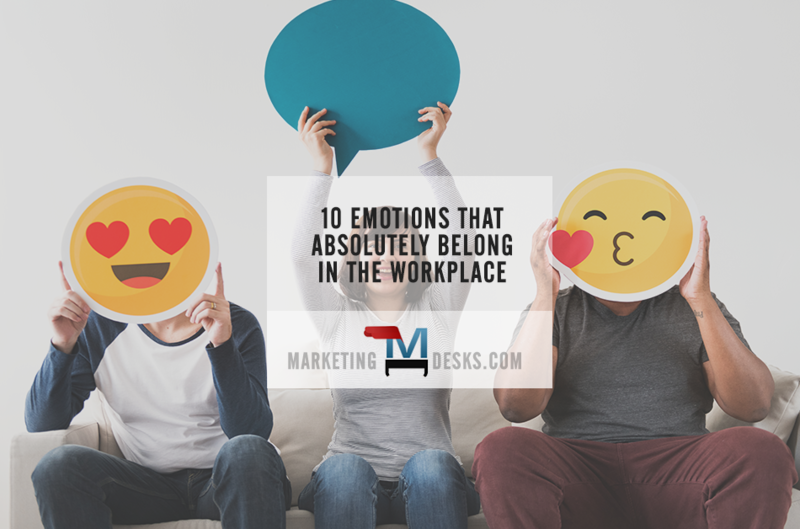 An inherent part of what it means to be a human being, many of these emotions that belong in the workplace even make it a better place to be. Anyone who ever cried through the scene in “You’ve Got Mail” where Meg Ryan’s character explains to her erstwhile business rival (played by Tom Hanks) that “whatever else it is, it (business) should be personal,” understands that feeling and expressing emotion isn’t just acceptable, but vital to a healthy workplace. There are people who believe that emotions don’t belong in the workplace, that decision-making should all stem from facts and logic and that doing so will produce the best business outcomes. While it’s an interesting theory, it’s simply unprovable, because emotions play just as large a role in human behavior, analysis and decision-making as logic. 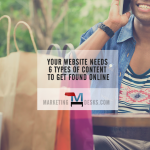 In fact, it’s a common marketing belief that decision-making is primarily rooted in emotion and backed up with logic – and in many cases, that’s probably true. Whether or not you believe there are emotions that belong in the workplace, they are already there. A Forbes.com article notes that women cry 5.3 times each month on average, and 41 percent admit that they have cried at the workplace. The same study cited says that men cry 1.4 times a month on average, and one in ten admit to having cried at work. What’s more, the emotions that lead to crying are just a few of those impacting workers on the job each and every day. No matter how logical, human emotions and personal experiences will always affect actions taken and decisions made within the walls of a business. What’s more, emotions can act as powerful motivators, enabling sales professionals to connect with prospects and prospects to “see themselves” in brand values and brand values to inspire employee loyalty, and so on. For a deeper exploration of the topic of emotions in the workplace, check out workplace emotion expert Anne Kreamer’s book It’s Always Personal: Navigating Emotion in the New Workplace. Aspirational, positive emotions can even be foundational to the greatest contributions an organization makes. As an example, let’s look at the fast food restaurant chain McDonalds. It’s not logical to believe that establishing the Ronald McDonald House and replicating it at hospitals around the country will do anything to sell more Big Macs. Yet a case can be made that the decision to do so – rooted in emotions like compassion and empathy and sprouting from personal experience – is one of the finest contributions the organization has made. With that in mind, let’s talk about some of the emotions that belong in the workplace. 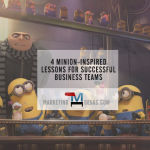 Passion, which is defined as, “a strong and barely controllable emotion” can be contagious in helping to inspire belief and trust and to motivate people to take actions like buying, making referrals or preferring one brand over another (loyalty). Empathy is the ability to understand and share the feelings of another. Some describe it as the ability to put oneself “in the shoes” of another. 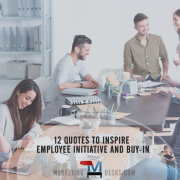 Empathy is vital for employers that want to be known for compassionate employee policies, and it is central to marketing efforts that seek to help customers see a brand or product as personally relevant to their lives. This emotion is expressed in faithfulness to a person, cause, or belief, as demonstrated by continuing fidelity and support. While we often think of loyalty in terms of employees or customers, doing so is to miss the fact that their loyalty is usually a reflection of the commitment they perceive they receive from the brand, first. Anger is often perceived as a negative emotion; however, anger can just as easily be expressed in positive actions as negative ones. Anger that arises from perceived injustices, inequalities, mistreatment or dishonesty can be essential in inspiring the actions that correct them. A close cousin of passion, enthusiasm is defined as “intense and eager enjoyment, interest or approval.” Enthusiasm is often the emotion that drives research and problem solving, but can also be harnessed to gain momentum among stakeholders for projects that have inherent worth (such as when a company participates in a charitable project, enters a contest, creates a new product or service, works as a volunteer team, or raises money for a worthwhile cause). Doubt and fear are two more emotions with negative connotations that can produce positive outcomes. Doubt – or a feeling of uncertainty or lack of conviction – may cause a business owner to delay or abandon a project before it consumes valuable resources or is launched only to fail. It’s important to listen to people who have doubts about a project or direction and consider whether their argument has merit or carries weight so significant that a position should be reconsidered. All too often business owners confuse happiness with satisfaction. Satisfaction means “it’s good enough.” Customer satisfaction is not equivalent with customer happiness, nor is employee satisfaction equivalent to employee happiness. Synonymous with words like joy, pleasure, contentment, and delight, happiness isn’t “good enough,” it’s better. Happiness leads to all kinds of positive outcomes; happy people tell their friends, happy people come back, happy people stay longer (and spend more freely), happy people give more on the job, and so on. Curiosity is a strong desire to know or learn something. It often arises from dissatisfaction (another emotion that can produce positive outcomes). Curiosity leads to innovation, discovery, exploration and ultimately – when fostered – can produce an organization characterized by continuous improvement, that is made better for all of its stakeholders from investors and employees to customers, vendors and community. Whereas curiosity inspires knowing, ambition inspires doing. Expressed as a strong desire to do or achieve something, typically requiring determination and hard work, ambition is essential to long term growth. Ambition is the vision that keeps organizational culture on course and makes it possible for brands to live up to the values they espouse and the customer promises they make. These are just ten emotions that belong in the workplace. If you have one that you believe should be added to the list, please leave your note in the comments below or tweet it to us in response to this article here. We would love to hear from you!